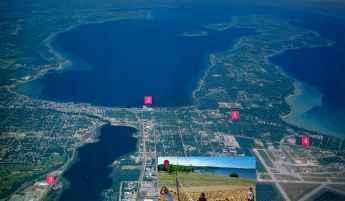 Traverse City is a beautiful summer resort town at the Northern tip of the Lower Penninsula of Michigan. Northwestern Michigan College is only two miles from the Cherry Capital Airport (see map). NMC is situated between two bays with sandy beaches a few hundred yards away. The NEWLY RENOVATED dormitories contain pairs of double rooms sharing a bathroom/shower. There is little humidity and most evenings are cool. 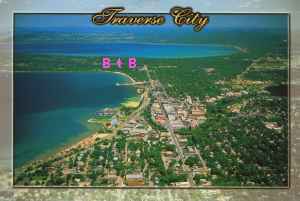 Downtown Traverse City is only a mile away. Wednesday is a light dance day so that campers can choose to tour this stunning midwest resort area.